When you need portable storage containers in Salt Lake City there is only one name you should trust. Haulaway Storage Containers has been in the business of providing the western part of the US storage containers for many years and has taken the service and product variety to a new level in this industry. 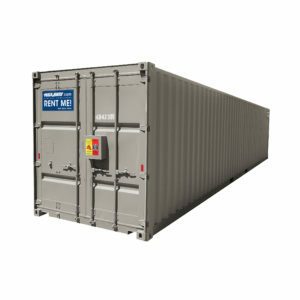 Typically, there is only one size for the containers that can be delivered, and many of them are old and rusty which can lead to damage to property inside because of leakage or a lack of security. Haulaway Storage Containers offers you five different sizes for the storage containers you can use and will deliver portable storage containers in Salt Lake City wherever you need them. This variety helps make it easier to choose Haulaway Storage Containers, with their guarantee to have a clean, well maintained container that offers you a thick steel build and hardwood or metal floors makes all the difference. When you add in the Rhino locking system it would be extremely difficult to find a company that will offer you more selection for you to choose from, but Haulaway does even more. As one of the longest tenured container storage companies in the business, you know you’ll have great storage containers from Haulaway, but the service will keep you coming back. They will deliver storage containers in Salt Lake City to you as soon as the next day, making it easy for you to be able to start storing right away. When you’re done with the container all you must do is call and Haulaway will be out to pick up your container the very next day, giving you back the space that the container was taking up on your property.